Catholicism and the modern sciences are not implacable foes—quite the contrary! Seth MacFarlane, well known atheist and cartoonist, is the executive producer of the remake of “Cosmos,” which recently made its national debut. 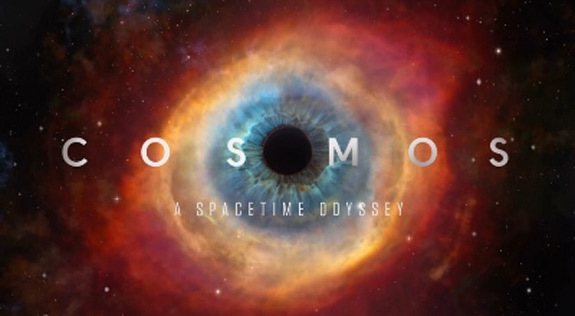 The first episode featured, along with the science, an animated feature dealing with the sixteenth century Dominican friar Giordano Bruno, who was burned at the stake by Church officials. A brooding statue of Bruno stands today in the Campo de’ Fiori in Rome on the very spot where the unfortunate friar was put to death. In MacFarlane’s cartoon, Bruno is portrayed as a hero of modern science, and church officials are, without exception, depicted as wild-eyed fanatics and unthinking dogmatists. As I watched this piece, all I could think was…here we go again. Avatars of the modern ideology feel obligated to tell their great foundation myth over and over, and central to that narrative is that both the physical sciences and liberal political arrangements emerged only after a long twilight struggle against the reactionary forces of religion, especially the Catholic religion. Like the effigies brought out to be burned on Guy Fawkes Day, the bugbear of intolerant and violent Catholicism has to be exposed to ridicule on a regular basis. I will leave to the side for the moment the issue of liberal politics’ relation to religion, but I feel obliged, once more, to expose the dangerous silliness of the view that Catholicism and the modern sciences are implacable foes. I would first observe that it is by no means accidental that the physical sciences in their modern form emerged when and where they did, that is to say, in the Europe of the sixteenth century. The great founders of modern science—Copernicus, Galileo, Tycho Brache, Descartes, Pascal, etc.—were formed in church-sponsored universities where they learned their mathematics, astronomy, and physics. Moreover, in those same universities, all of the founders would have imbibed the two fundamentally theological assumptions that made the modern sciences possible, namely, that the world is not divine—and hence can be experimented upon rather than worshipped—and that the world is imbued with intelligibility—and hence can be understood. I say that these are theological presumptions, for they are both corollaries of the doctrine of creation. If God made the world in its entirety, then nothing in the world is divine; and if God made the world in its entirety, then every detail of the world is marked by the mind of the Creator. Without these two assumptions, the sciences as we know them will not, because they cannot, emerge. May I mention just a handful of the literally thousands of Catholic clerics who have made significant contributions to the sciences? Do you know about Fr. Jean Picard, a priest of the seventeenth century, who was the first person to determine the size of the earth to a reasonable degree of accuracy? Do you know about Fr. Giovanni Battista Riccioli, a seventeenth century Jesuit astronomer and the first person to measure the rate of acceleration of a free-falling body? Do you know about Fr. George Searle, a Paulist priest of the early twentieth century who discovered six galaxies? Do you know about Fr. Benedetto Castelli, a Benedictine monk and scientist of the sixteenth century, who was a very good friend and supporter of Galileo? Do you know about Fr. Francesco Grimaldi, a Jesuit priest who discovered the diffraction of light? Do you know about Fr. George Coyne, a contemporary Jesuit priest and astrophysicist, who for many years ran the Vatican Observatory outside of Tucson? Perhaps you know about Fr. Gregor Mendel, the Augustinian monk who virtually invented modern genetics, and about Fr. Teilhard de Chardin, a twentieth century Jesuit priest who wrote extensively on paleontology, and about Fr. Georges Lemaître, the formulator of the Big Bang theory of cosmic origins.